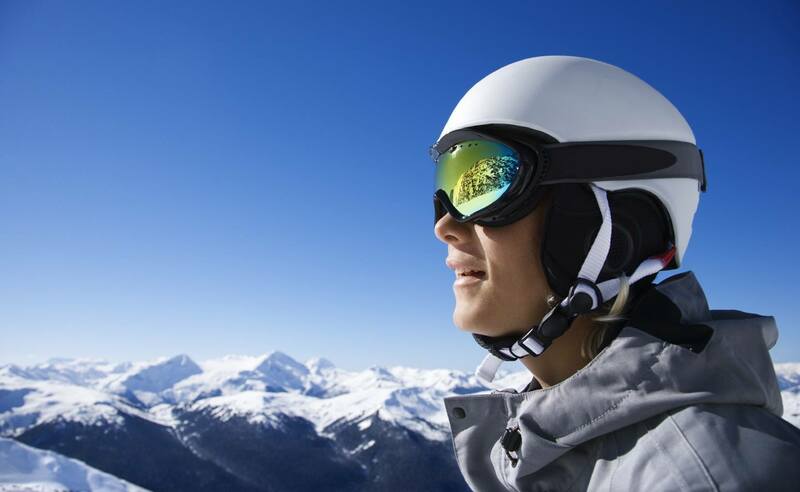 In this article we’ve got all the best ski rack options in one place to make it easier for you to travel during ski and snowboard season. It may not be ski season yet, but that doesn’t mean it’s too early to start preparing for it! In no time at all, you’ll be enjoying that fresh, white powder. To make the most of your ski adventures, you’ve got to be able to transport your gear. Ski racks are great for that! You have plenty of choices when it comes to ski racks, so how do you choose just one? Luckily, we’ve done some of the research for you. Ready to get off to a good start? Check out our top ten picks for the best ski rack you can get in 2018. You’ll need to keep your specific needs and wants in mind while shopping, but in order to choose the best ski rack you’ve got to know what’s out there. So here are ten of the best ski racks for cars you should know about. If you need to transport more than just your own skis, this rack gives you the room you need. Easily transport up to six pairs of skis, as long as you have a roof rack. The rails slide in and out, so you may want to keep them unattached during cold weather to keep them from freezing. The Pull Top offers dual security to give you peace of mind. It allows you to lock the rack to your car and also lock your skis to the rack. This Thule rack also holds up to six pairs of skis, but it adds some really nice features. You’ll love the slide-out feature since you’ll be able to access your gear from either side of your vehicle. The scratch-free rubber grips are a great touch too-you won’t have to worry about marking up your skis. This may be one of the best looking racks you’ll find, with its sleek, mirror black finish. It holds six pairs of fat skis and comes with a built-in security setup. This rack is highly versatile–it easily mounts to just about every type of roof rack. This is a great choice if your vehicle is equipped with side rails instead of crossbars. The rack opens from both sides, making it easy for the driver or any passengers to quickly grab their gear and hit those slopes. To keep your gear safe, this rack comes with keys and locks. 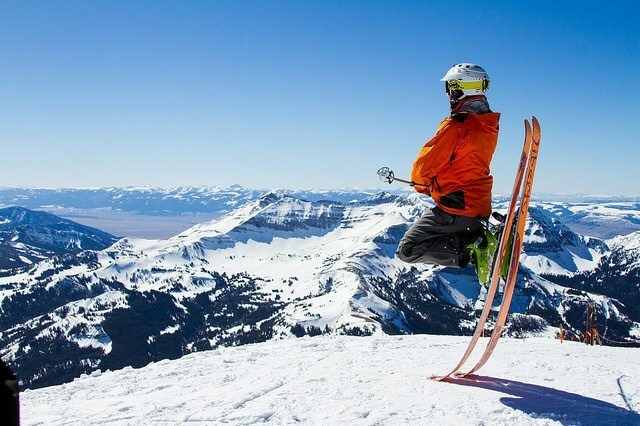 So when you take that hot cocoa break, you’ll know your skis aren’t going anywhere. If you don’t need to transport six pairs of skis, this is a great, smaller option. If you do need the six-pair option, you can upgrade to the Big Powderhound. This version holds four pairs of skis and offers extremely useful one-button access to your gear. This means you can keep your gloves on while unloading. For even more convenience, this rack attaches to any Yakima crossbars. If you’re looking for the best hitch ski rack, try this one on for size. You won’t need a roof rack, so this works with any compact car. You may need to tune up your gear more often with this type of rack though since your skis will be closer to the road and more susceptible to gravel and dirt. For complete protection of your precious skis, consider purchasing the Yakima Skybox Carbonite Cargo Box. This box entirely encloses your skis (up to 72-inches in length) so they’re completely protected from the elements and any flying debris from the road. There are several sizes to choose from, so you’re sure to find one that fits all your gear. In fact, you can fit enough gear for five people in there. To keep your gear safely inside, the SkyBox is equipped with a SuperLatch closure system. Don’t like to ski in large numbers? Then this two-person ski carrier should meet your needs. Take only your skis, or yours and one other person’s for a quiet day on the slopes. These racks come in several sizes and feature key locking and easy release mechanisms–perfect for gloved hands. When ski season’s over, this rack is perfect for transporting fishing rods! And it comes with a 5-year warranty. Here’s another option if you’re looking for total protection. You will be limited to only one size with this one, though. This roof box from Thule is specifically designed to zip through the air right along with your vehicle. Its use is fast too, thanks to a one-hand quick-mount system. This box works with only certain types of racks, so make sure it will work with your rack and vehicle. If you’re worried that your thick skis won’t fit in any of the previously-mentioned racks, this one’s for you. The Gravity Snow Rack from Inno Racks holds the thickest skis you can find. And it will hold up to six skis. This rack mounts to nearly all crossbars, though you’ll need a long bolt kit if your vehicle’s crossbars are on the thicker side. Chances are you’re headed to the mountains in order to get your love of skiing in this winter, and you probably don’t want to carry your skis and other gear up that mountain yourself. This is where a ski rack comes in. Whether it’s mounted to your roof or your hitch, your rack will help you transport your gear safely and easily. There are many ski storage racks to choose from, so there are some important things you should keep in mind while shopping. First, you need to consider your vehicle. Some types of racks may not work with the vehicle you’ll use when you go skiing. Make sure you get familiar with the different types of racks and how they attach to your car. You’ll also want to consider your gear. Do you plan to transport gear for only yourself? Or do you tend to have some buddies with you? Choose a rack that can carry the amount of gear you’ll usually have on your ski trips. Ultimately, your decision will come down to preference. Your vehicle setup can be changed, and you can take multiple cars if you don’t a large rack on your car. There are plenty of options out there, so feel free to choose one that looks and feels the best to you. The more you shop, the more you’ll know what you want. Now that you know about some of the best ski racks on the market, you may be wondering how to choose the best one for you. That choice should depend on a lot of factors. First, you’ll need to consider the size and shape of your vehicle. If you have a smaller vehicle, a box or top-mounted rack may not work as well as a hitch rack. If you have too much weight on top, you may strain your car. You may prefer a top-mounted rack if you have a shorter arm-span though, so preference is definitely important here. Study the various locking systems available across the different racks available. Some are better than others. Determine which type you prefer. If you tend to go skiing with friends, make sure you choose a rack that will accommodate you all. There’s no point purchasing a rack that only holds two to four skis if you like to go with a big group. If you like to keep your gloves on, look for a setup that allows for easy access to your gear. Some models will require you to remove your gloves in order to remove your skis from the rack. If you want your rack to look great with your car, take that into consideration when shopping. You’ll find many looks, from rugged to ordinary, to sleek. Go with the look you like best with your vehicle. Different racks require different setups. While they may be “universal” to some degree, you’ll at least need the right kind of bars. If your vehicle has sidebars, choose a rack that’s meant to work with sidebars, not cross bars.